Light crowds of tourists have been enjoying recent tropical weather patterns, which are now the normal pattern for the rest of the summer. No new storm systems at this time, though there have been scattered tropical cloud formations and some isolated thunder showers in the foot hills, very humid, with light breezes this past week. Ocean conditions became cloudy and off colored closer to shore due to prior swells that pushed through the region, now seas are settling down again and clarity has improved closer to shore. Anglers were finding a mix of caballito, moonfish, as well as ballyhoo available for bait. Another bait option in recent days were live sardinas being delivered to the fishing of San Luis and Vinormama, by commercial pangeros based out of Los Frailes, this is a great sign, as local fleets have not been able to obtain any sardinas for a long time, in fact for the entire 2014 season, up until this week. This is a limited resource and still a long distance to go for bait, who knows how long this will last, large swells will scatter inshore baitfish schools in a hurry. San Jose del Cabo fleets have been concentrating their efforts on the grounds to the north of Punta Gorda, namely Iman, San Luis and Vinorama Banks, this is where they have found the most productive all around action. Early in the day anglers found decent action on species such as bonito, red snapper, skipjack, a few amberjack and cabrilla, yo-yo jigs and various baits all produced. 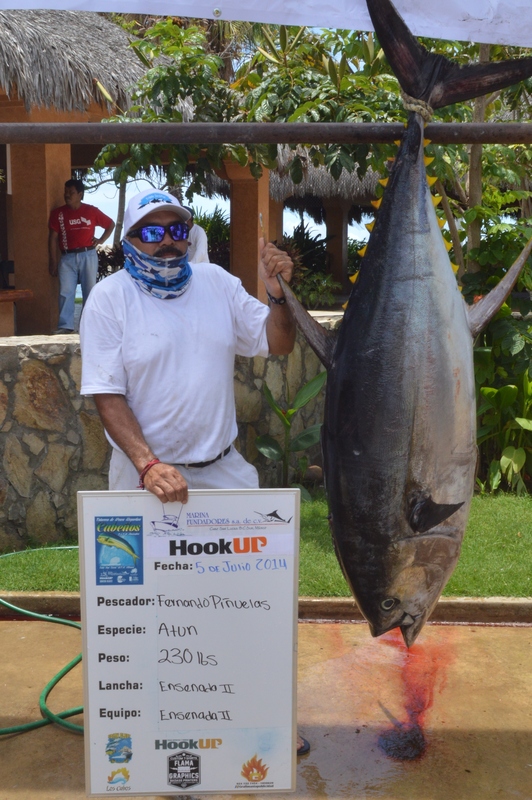 This entry was posted in cabo, Fish Reports, Gordo Banks Pangas, los cabos, San Jose del Cabo, sportfishing on July 14, 2014 by admin.